If you look through my recipes on here, you’ll notice a theme – I’m into quick, easy and delicious. I mean real life for me as a mom means wanting to make yummy meals for my family to sit down with, but also wanting to play and spend time with my kids and husband, and we all know there’s just not enough hours in the day to do it all. Chicken and waffles are a southern staple and one of our favorite foods, and thanks to Farm Rich it’s the perfect busy night meal! But it’s always fun to spice things up a little bit, so my husband and I have started having spicy chicken and waffles and are huge fans. Bake Farm Rich Chicken Wings or Chicken Bites in the oven according to the directions on the box Meanwhile toast waffles according to directions. 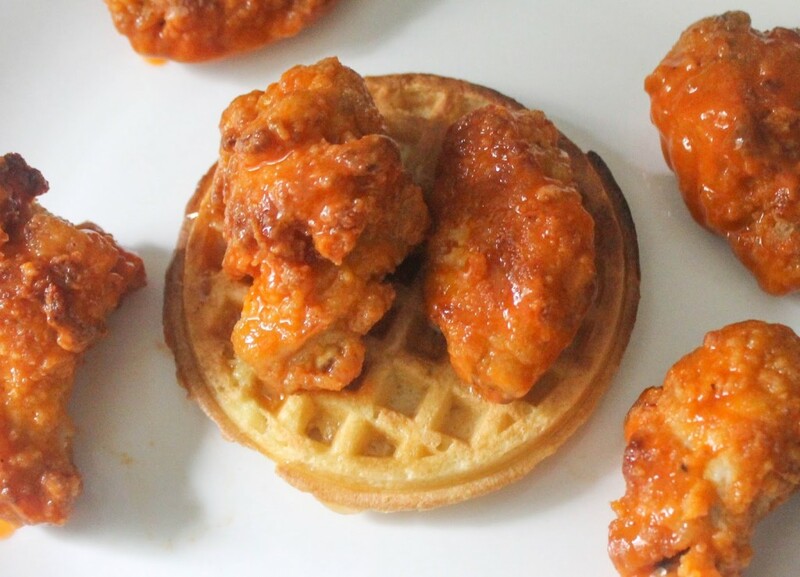 Cook half as many waffles as wings/bites you are using. 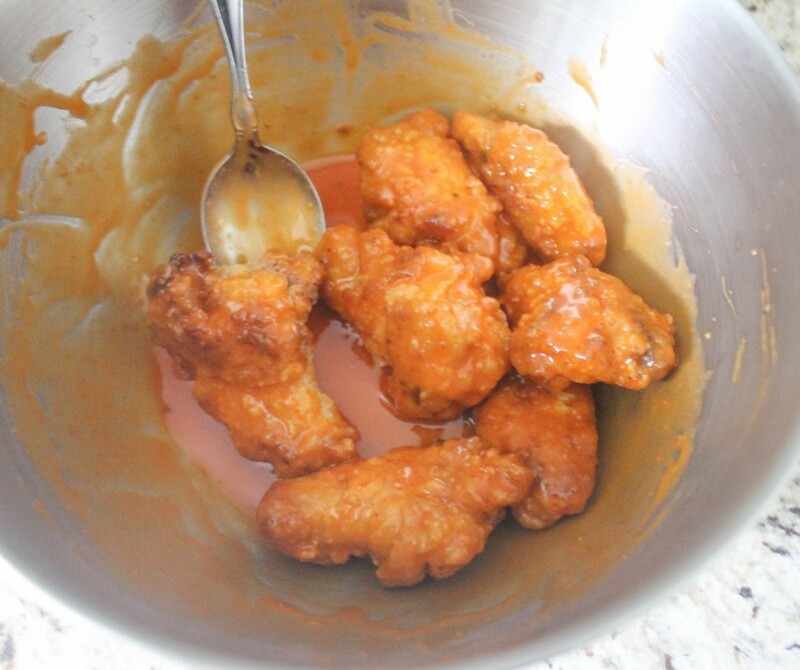 Allow wings to cool 1-2 minutes when done, then toss in the buffalo sauce included in the box. Place two wings/bites on top of each waffle. Top with a little bit of your favorite syrup to make the perfect sweet and spicy flavor, serve and enjoy! Have someone in the family that doesn’t do spicy? 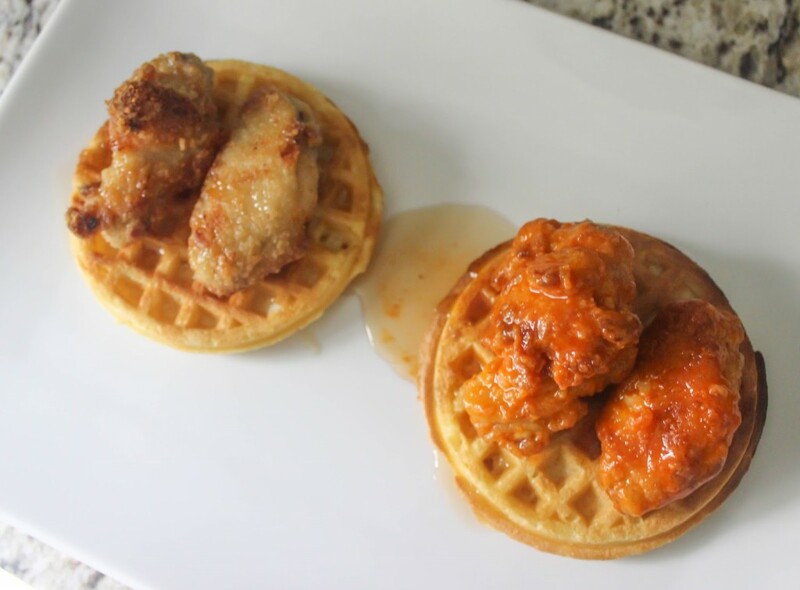 simply take a couple wings/bites out before tossing in the sauce and have regular chicken and waffles! I love that Farm Rich is all about making life easier for moms so that we can make every moment count and makes our days a little easier. Farm Rich makes easy, wholesome, feel-good foods that I’m happy to serve and know that my family will love. 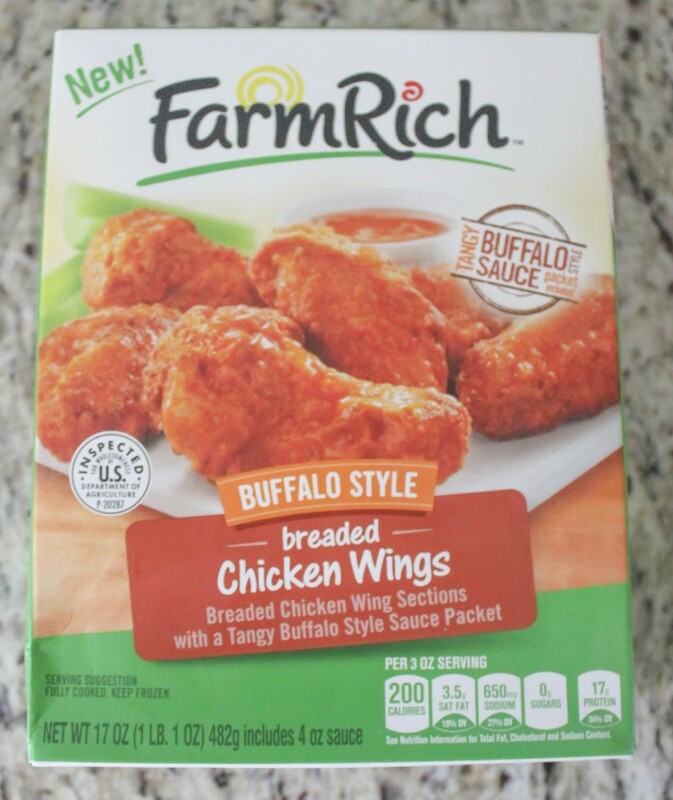 Right now you can save big on Farm Rich at Kroger! From November 5 – November 18 buy 10 participating Farm Rich products (check the list here) and save $5! Offer valid 11/4/15 – 11/17/15 in most areas, please check your local circular for dates in your area. If Kroger is not your grocer, please go to MomsWingman.com to find your neighborhood retailer for specific ad dates and other featured products. 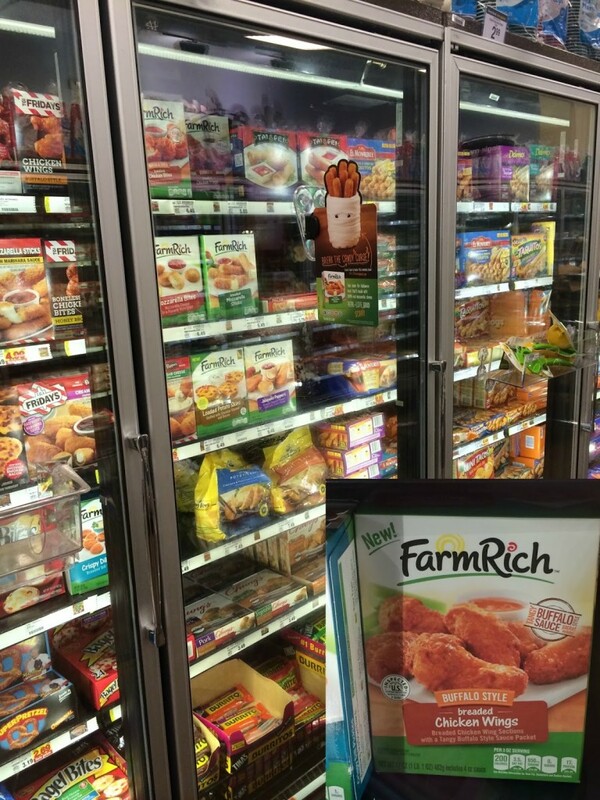 I find Farm Rich in the frozen appetizer section of my neighborhood Kroger! Check out more quick and easy recipes using Farm Rich on MomsWingman.com! What do you do to make busy nights a little easier for you and your family? What a fun idea! I've only had the sweet and savory kind with maple syrup. Had that buffalo chicken before, so good! YUM! 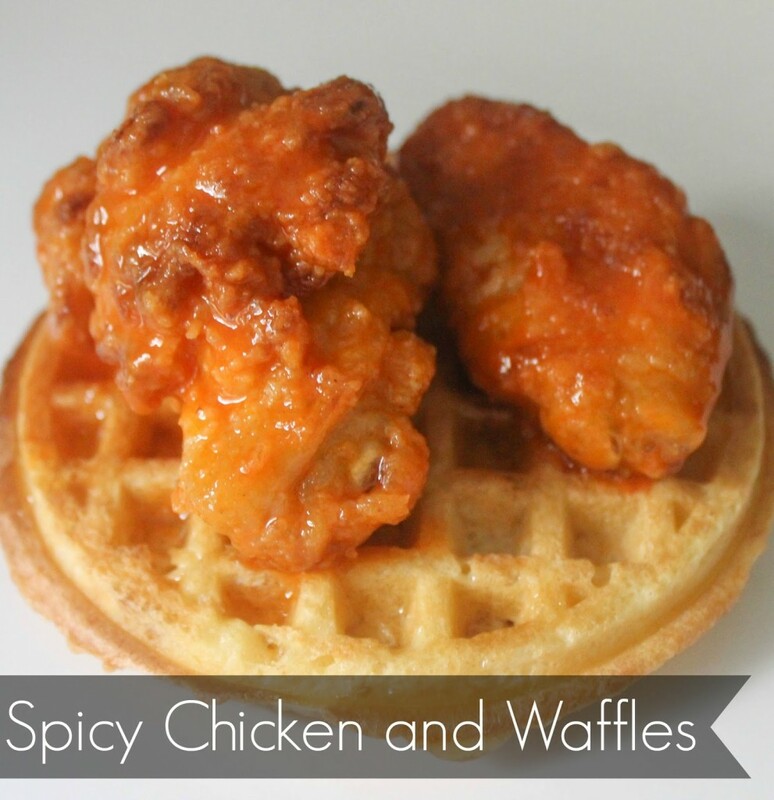 Definitely trying this-I love buffalo chicken, but I've never thought to pair it with waffles!